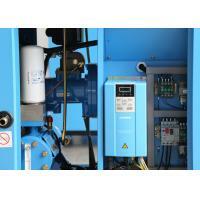 Applied ITLAY TMC air end, EOLO SV6 has 100% performance and high efficient. 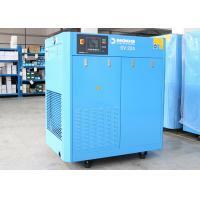 With the variable frequency motor ,the noise of compressor is lower, and service life longer. Intelligent variable frequency control system with patents, start and stop the machine automatic, adjust the air volume according to the demands. 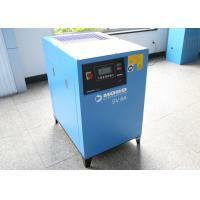 Producting according to ISO9001, the compressor is stable and reliable. Founded in 2001, Ningbo MOBO Compressor Co. Ltd. which locates at Ningbo,China, is a state high-tech enterprise and a National Torch Plan Industrialization Demonstration Project. In compliance with the International Organization for Standardization (ISO), it mainly produces screw-type air compressor, especially the frequency conversion screw-type air compressor which is widely known. In 2005, the company became the only strategic partner of GHH-RAND, Germany in China and produced the first domestic 100% frequency conversion air copmressor in the next year with compressor vector control technology patented. 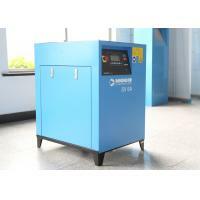 In 2007, the company drafted the JB/T 10972-2010 General Conversion Frequency Oil Injected Screw Air Compressor and its products were listed as the national key promotion of energy-saving products in 2009 and 2011. 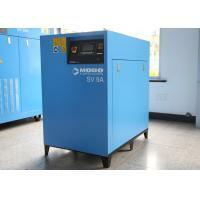 In 2013, it also drafted the JB/T 11420-20133 Low-voltage convertor used in air compressor. In 2015,the company signed a Strategic Partnership Agreement with TMC, Italy. The modernized MOBO Company has always been dedicated to providiing customers with safe,clean and efficient air compressors in line with the conviction of "First-class Product and Satisfactory Service".